2019 10th International Conference on E-business, Management and Economics (ICEME 2019) will be held in Beijing University of Technology, Beijing, China during July 15-17, 2019. 2019年第 十届电子商务，管理与经济国际会议由IEDRC与北京工业大学联合主办，将于2019年7月15-17日在中国首都北京，北京工大建国饭店召开 。 北京工业大学，简称北工大，创立于1960年，是一所以工为主，理工、经管、文法相结合的多科性市属重点大学。1981年成为中国教育部批准的第一批硕士学位授予单位，1985年成为博士学位授予单位。1996年12月学校通过国家“211工程”预审，正式跨入国家21世纪重点建设的百所大学行列。此次会议很荣幸获得北京工业大学的支持。 为保证本次会议的学术质量，吸引更多的原创高水平学术论文，现公开征稿，欢迎广大从事电子商务，管理与经济教学、科研人员和学生踊跃投稿。本次会议所有文章将由程序委员会严格审核，所有 录用文章将出版到会议论文集并送检EI Compendex 和 Scopus. ICEME 2019 is sponsored and organized by the IEDRC and co-organized by Beijing University of Technology. An important part of IEDRC's broader efforts is to play an influential role and to promote developments in economics theory and applications in a wide range of ways. The mission of IEDRC is to foster and conduct collaborative interdisciplinary research globally, in the state-of-the-art methodologies and technologies within its areas of expertise. Our conferences are aimed to providing researchers, scientists, engineers, scholars and students an opportunity to exchange and share their experiences, new ideas, and research results, and discuss the practical challenges encountered and the solutions adopted. IEDRC has held similar conferences in the past with very impressive and positive results. IEDRC seeks to encourage regional and international communications and collaborations; to promote professional interaction and lifelong learning procedures; to recognize outstanding contributions of individuals and organizations; and to encourage researchers to pursue studies and careers in developments of theory and applications. Beijing University of Technology (simplified Chinese: 北京工业大学; traditional Chinese: 北京工業大學; pinyin: Běijīng Gōngyè Dàxué), also called Beijing Polytechnic University or Bei Gong Da (北工大), is recognized as one of the Project 211 universities. The University has established a multidisciplinary academic structure, offering a variety of programs and is involved in diversified research in the fields of Science, Engineering, Economics, Management, Liberal Arts, and Law. 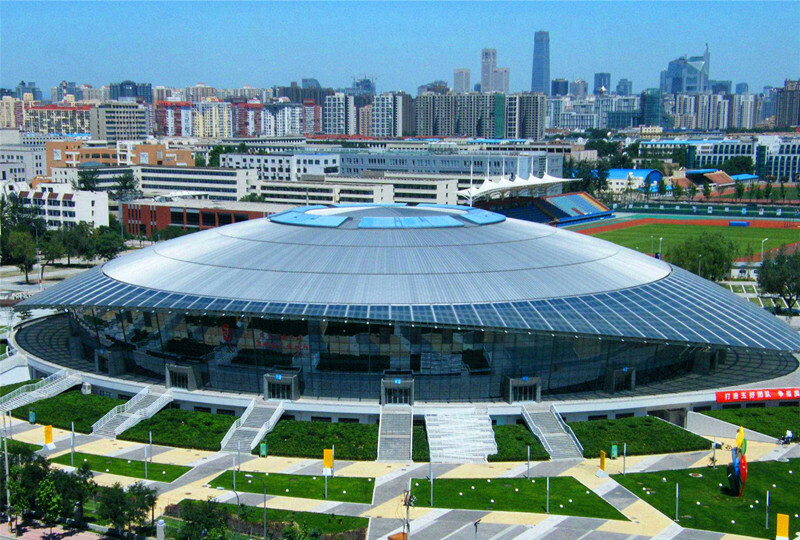 Beijing University of Technology is located in the southeastern Beijing and was founded in 1960 with five engineering departments. In 1981, Beijing University of Technology formed the graduate school, in 1985, the school started granting the Doctoral degrees with international standard. 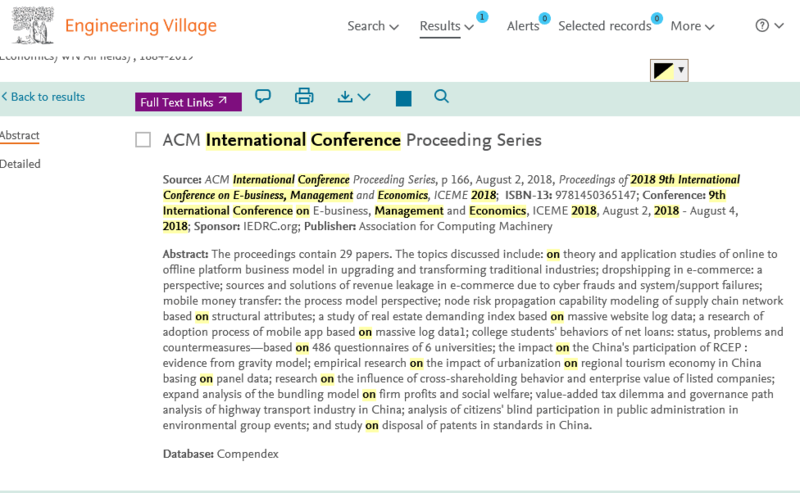 The accepted excellent papers by ICEME 2019 will be published in conference proceedings by ACM, which will be indexed by EI Compendex and Scopus.